This book is about a little mouse who shows up at a house. The mouse is given a cookie and milk. Next, the mouse starts to ask for many other things. Kindergarten would really enjoy this book. 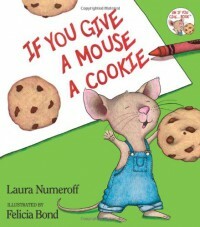 I would read this book to my students and share cookies with them.